Weeks after releasing a report criticising the credit reporting industry for various problems, the CFPB has taken action against Experian over allegations that the company made false claims about the uses of credit scores it sold to consumers. The company claimed its proprietary PLUS Score it marketed to consumers was used by lenders to make credit decisions when, in fact, lenders did not use Experian’s PLUS Scores to make those decisions, according to the CFPB. Instead, PLUS Scores actually are an educational credit score meant to inform consumers and are “rarely, if ever” used by lenders to evaluate a potential borrower. The CFPB claims that from at least 2012 through 2014, Experian violated the Dodd-Frank Act by falsely representing that the credit scores it marketed to consumers were the same scores lenders use to make credit decisions. In some instances, there were “significant differences” between consumers’ PLUS Scores and the credit scores lenders actually used, the CFPB said. As a result, scores sold to consumers by Experian presented an inaccurate picture of those consumers’ creditworthiness. The CFPB also found that Experian violated the Fair Credit Reporting Act, which requires credit reporting companies to provide a free credit report once every 12 months. Until March 2014, consumers getting their reports through Experian had to view Experian ads before they got to the reports, in violation of the Act’s prohibition of such advertising. Under terms of a consent order with the CFPB, Experian must pay a $3 million fine and change its marketing practices to accurately represent how its credit scores are used, including implementing a plan to ensure compliance with federal law and terms of the consent order. Experian does not admit or deny any of the charges in the consent order agreement. The CFPB on March 2 released a report outlining problems it had detected in the credit reporting industry, including “widespread” issues with incorrect information being sent to credit reporting companies. The bureau also found that credit reporting companies weren’t following federal rules by failing to send consumers notice of the results of consumer disputes. Credit reporting ranked third in the latest CFPB Monthly Complaint Report, with 4,620 consumer complaints in February, a 24 percent increase from the previous month. Since July 2011, credit reporting has been the third-most complained about product category, representing 17 percent of total consumer complaints to the CFPB. 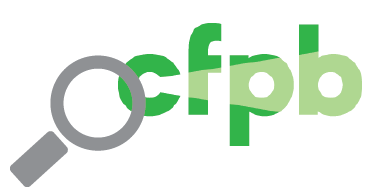 Prepaid complaints to the Consumer Financial Protection Bureau (CFPB) in the US hit 2,500 in 2016, accounting for about 0.9% of the 291,400 complaints in agency’s latest Consumer Response Annual Report.